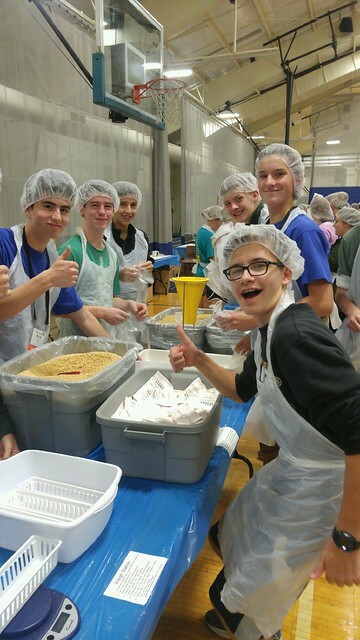 Priory students participated in the 2016 St. Louis World Food Day at John Burroughs School, helping to package nearly 400,000 meals for those in need. St. Louis World Food Day is an annual food-packaging event to help feed hungry people living locally and abroad. Volunteers assemble rice/soy protein meals and macaroni & cheese meals to help alleviate the suffering of people in need. With World Health Organization statistics suggesting that a child dies every six seconds from malnutrition and related illnesses, the St. Louis World Food Day event raises awareness, increases understanding, and equips people to take action to alleviate hunger, both locally and internationally. Learn more about St. Louis World Food Day here.